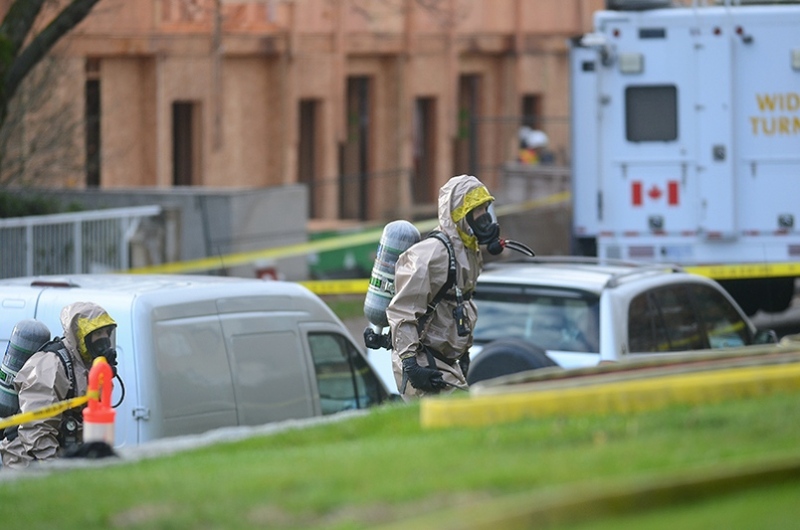 The New Westminster Record is reporting that "Cleanup of a clandestine drug lab that was discovered after an explosion at an apartment building Sunday afternoon is expected to continue for most of today, according to New Westminster Police. Firefighters were called to the scene following reports of an explosion at an apartment building at Carnarvon and Elliot streets around 1 p.m. on Nov. 4. One person was arrested at the scene and remains in custody at this time." Looks like the only time the compromised BC Gang Task force will make a drug bust these days is if the fire department find it for them. Sources claim this drug lab was run by the Hells Angels. Who owns that apartment complex anyways? Kelly Hayes from Global is reporting that " Officials say they’ve wrapped up their investigation dealing with a Trinity Valley Road property and confirm it was a meth lab. Police raided the property near Enderby earlier this month following reports of shots fired. 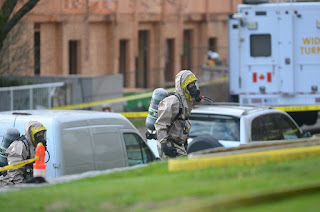 A HazMat team was called to the scene after officials discovered a “significant quantity of hazardous material” on site. Officials say the material was being used to make crystal meth. 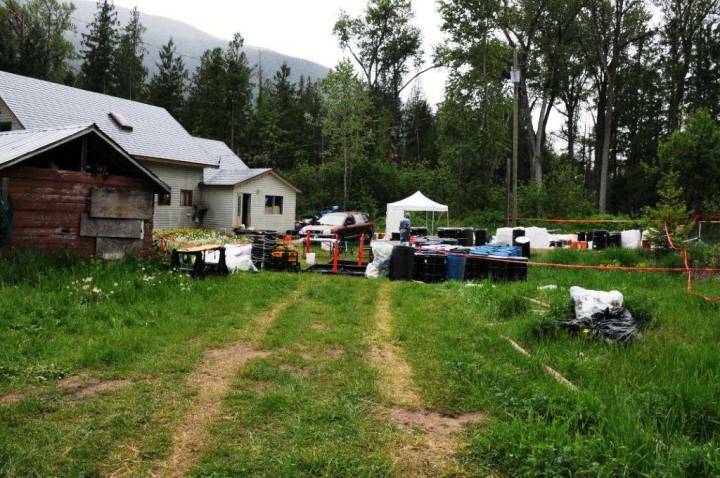 Police say that after spending six days on the property, all the hazardous material has been removed. A total of five suspects are facing charges. All have been released on bail."